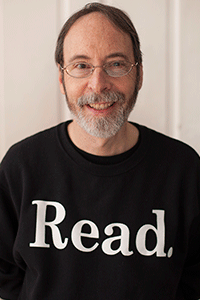 Dan Gutman is a children’s book author who has written 150 books for kids from kindergarten (Rappy the Raptor) to early grades (My Weird School) to middle grades (Baseball Card Adventure Series) and middle school (The Genius Files and Flashback Four). Dan is a member of SABR (Society for American Baseball Research) and SCBWI (Society of Children’s Book Writers and Illustrators). He lives in New York City with his wife, Nina. 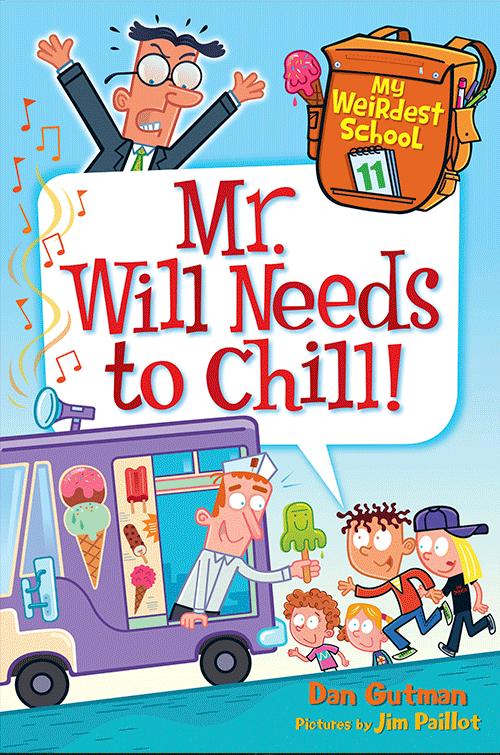 In this 11th book in the My Weirdest School series, local ice-cream man Mr. Will is bringing delicious treats to Ella Mentry School! But Dr. Carbles has banned desserts forever and will stop at nothing to ensure that no one breaks the rules. Will A.J. and the gang ever get to enjoy the sweet taste of a push-up pop again?! Perfect for reluctant readers and all kids hungry for funny school stories, Dan Gutman’s hugely popular My Weird School chapter book series has something for everyone. Don’t miss the hilarious adventures of A.J. and the gang!